Kosovo is being ruled by the United Nations after tensions between the province’s ethnic Albanian majority and the Serbian government in Belgrade erupted in violence in the late 1990s. The Serbian leader Slobodan Milosevic’s refusal of an international agreement to end the political impasse and the abuse of ethnic Albanians brought a massive bombing campaign against targets in Kosovo and Serbia in March of1999. At the same time, vast operations of ethnic cleansing of Kosovo Albanians by Serbian forces resulted in hundreds of thousands of refugees escaping to Albania, Macedonia and Montenegro as well as internally in the province. Thousands of people died in the conflict. Serbian troops were forced out in the summer of 1999 and the UN took over the administration of the province. As Kosovo is still officially part of Serbia, an agreement between the predominantly independence seeking ethnic Albanian majority of 1.5 million and the local Serb minority of 100,000 remains elusive. Half of the people of Kosovo live in poverty in one of the least economically developed regions in Europe where most citizens are dedicated to agriculture despite the land’s rich mineral resources. Around 21,000 of the Serbs that did not flee during the conflict live in the divided city of Mitrovica, which is watched over by NATO peacekeepers. International diplomats have raised concern over the slow progress of securing their rights. In February 2007, the UN proposed a road to independence that was welcomed by the ethnic Albanians, backed by the U.S.A. but immediately rejected by Russia and Serbia. In the parliamentary elections held in November, former guerrilla leader Hashim Thaci won and immediately announced that Kosovo would declare its unilateral independence after the international talks on the status of Kosovo on December 10, 2007. According to international NGOs, an estimated 250,000 internally displaced people (IDPs), most of whom are Serbs and Roma who fled their homes, are still unable to return. The overwhelming majority of IDPs live in Serbia, but smaller numbers have also found refuge in Montenegro and parts of Kosovo like Mitrovica where there are 6,500 Serbian IDPs. 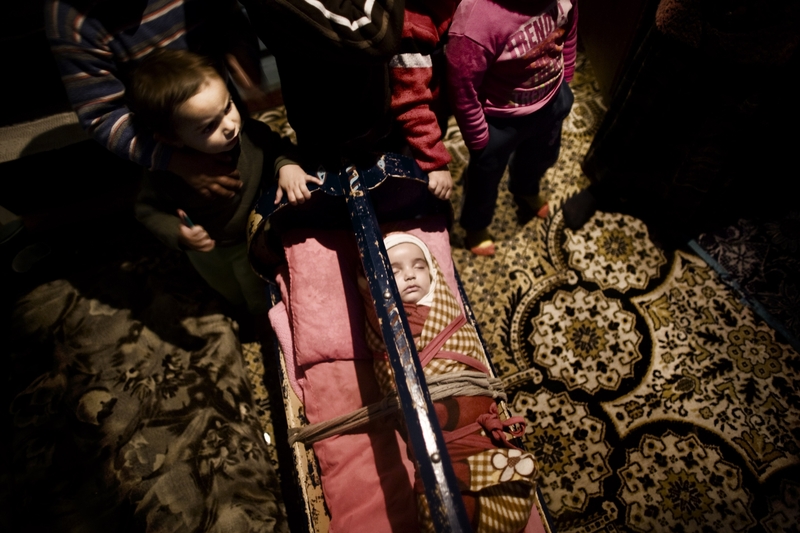 A further 4,200, mostly Serbs but also Roma and Ashkaeli, were displaced after another outbreak of ethnic violence in March 2004, which effectively put a halt to the rate of return which had slowly built up in preceding years. The clashes marked a further step in the division of communities and resulted in a serious loss of trust in the ability of local authorities and the international community to rebuild a multi-ethnic Kosovo. 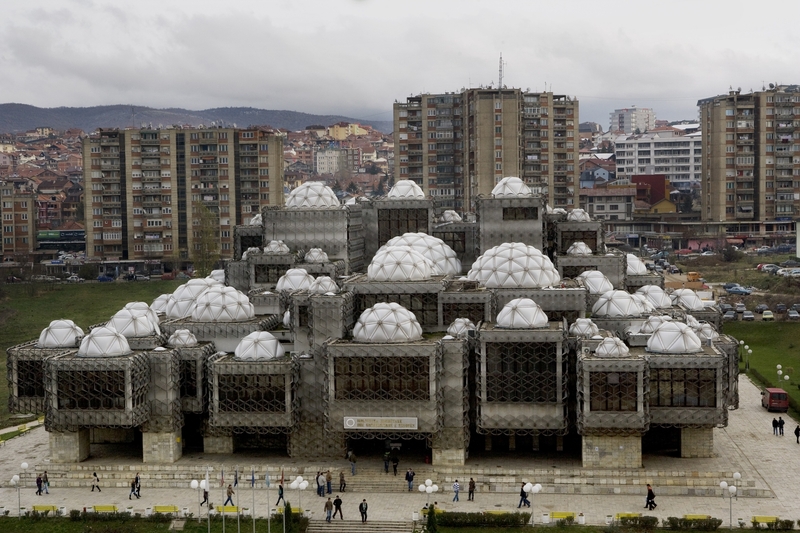 The people of Kosovo have suffered substantially over the past decade from deep economic, social and political turmoil following the 1999 Kosovo war. According to the World Bank, output has more than halved, income has collapse, less then half of the population is employed, and half living in poverty. The economic performance following the post-conflict boom has not led to a significant creation of jobs and is unlikely to be sustainable without a clarification of Kosovo’s political status. Poverty disproportionately affects children, the elderly, female headed households, the disabled, non Serb ethnic minorities, the unemployed and precarious job holders. These marginalized groups also face serious health risks as a result of severe industrial pollution in the environment. 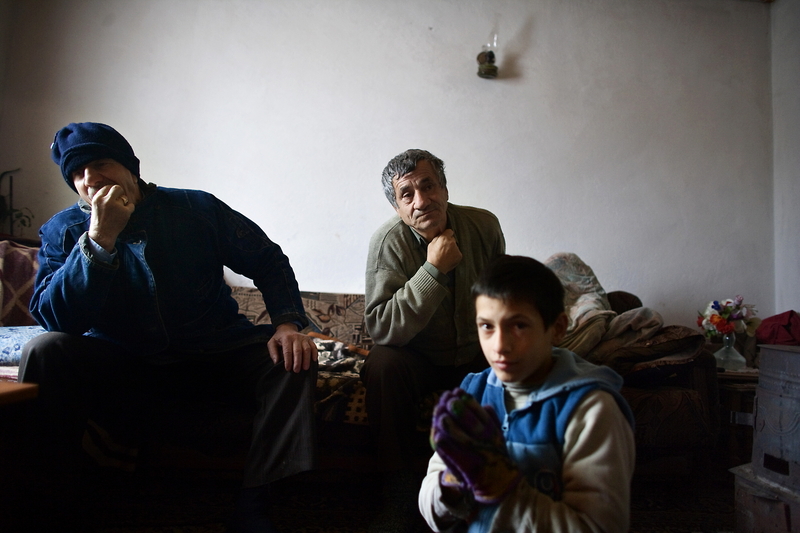 Ethnic Albanian, Mustafa Dalaman,(C) 50-years-old sits in his house with his father and his son. Mustafa, who is unemployed and supports himself and the other eleven members of the family with fifty euro a month pension provided by the government. 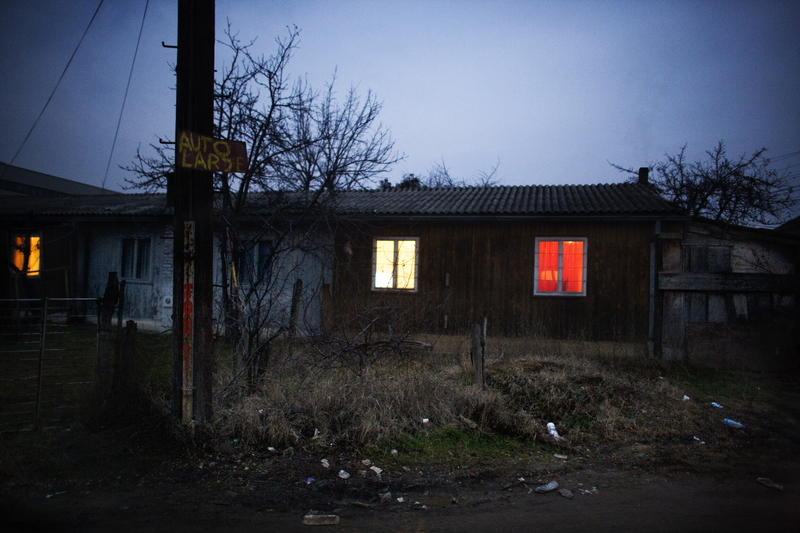 The family lives in northern Mitrovica, the Serbian side of the ethnically divided city across the Ibar River. He worked in a storage battery factory before the 1999 Kosovo war that was then bombed by NATO and closed down as the site was deemed contaminated. He and his ten children live and sleep in two rooms and is one of the few families of Ethnic Albanians left in the Serbian side of the town. 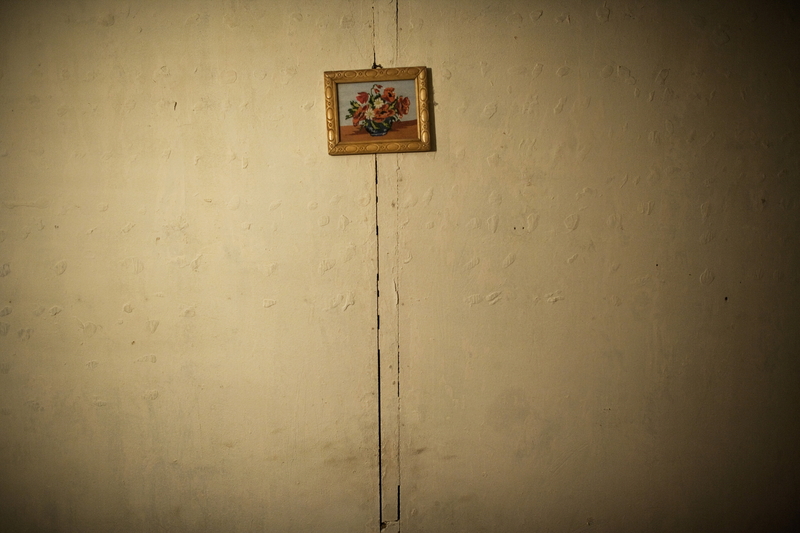 A small picture on an empty wall of the makeshift shanty where Ethnic Albanian Idriz Metulli, 65-years-old and his wife Elfeti Cakolli, 47-years-old live. Idriz, was a construction worker and in the 90’s with the neglect and exclusion of the Albanian community during Milosevic’s era he lost his job, his wife became sick and mentally ill, they lost their apartment and had to move to a shanty town. They do not receive and subsidy from the government as they don’t have children. 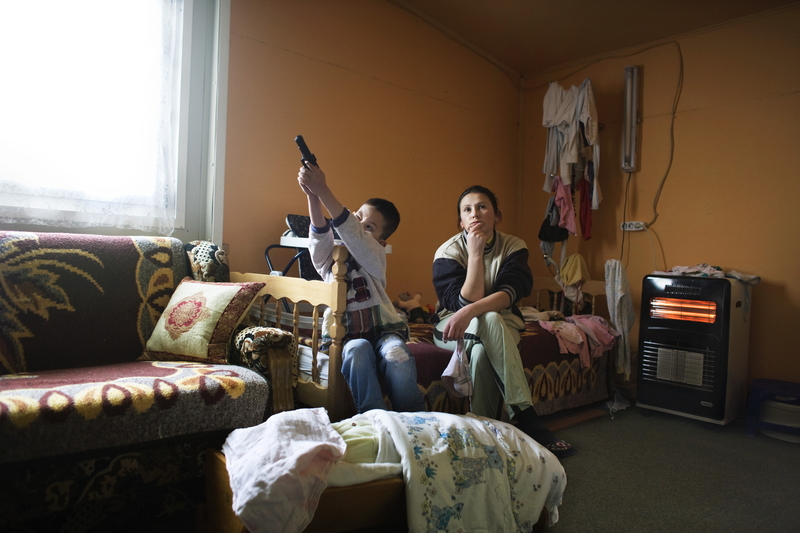 Ethnic Albanian Xevahire Ahmeti, 26-years-old and her son playing with a toy gun sit in their trailer where they live with her husband and a second son. Xevahire Ahmeti moved into the trailer park with her husband who’s house was destroyed and burned during the 1999 Kosovo war. 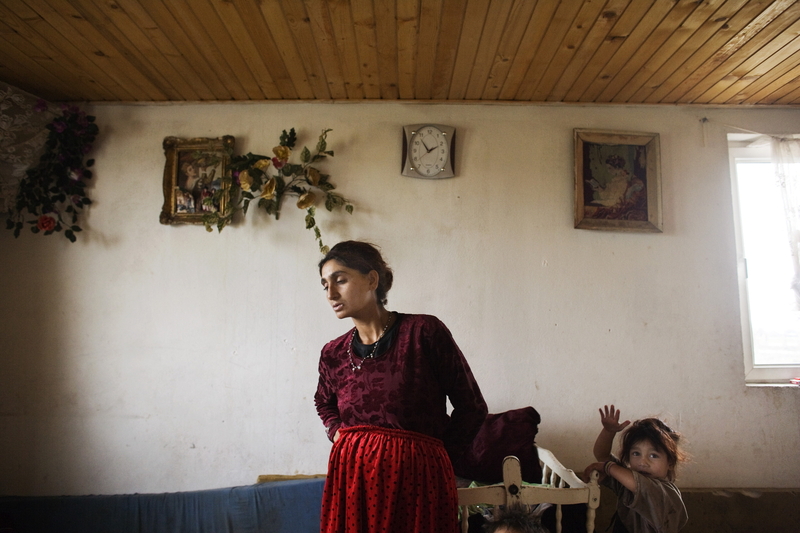 Her husband is unemployed and they live out of fifty euro a month subsidized by the government. Twenty-two families live in the trailer park since 1999. 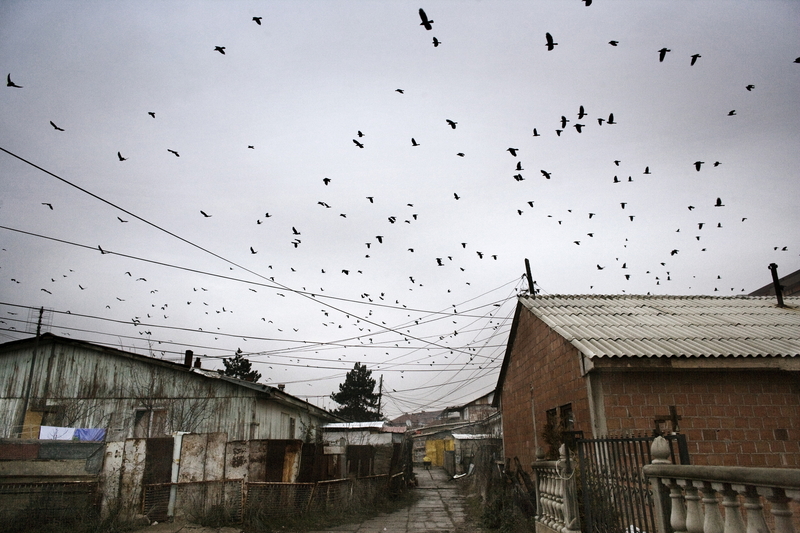 Crows fly over a makeshift shanty town where poor Ethnic Albanians live. 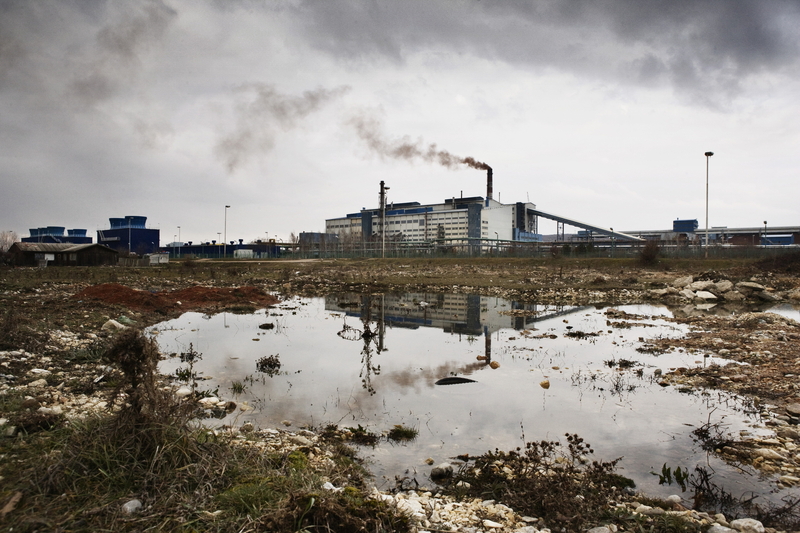 Frekrije Xhukatani, 24-years-old, a Roma living in an area considered extremely polluted and contaminated by the nearby Kosovo A, one of two power stations of the Kosovo Energetic Corporation. Frekrije and her husband Xhevdet, 36-years-old and their six children moved to Dardhishte village because the local government provided them with a house as they where living in a Roma camp where they were feed by charity organizations for the past eight years. 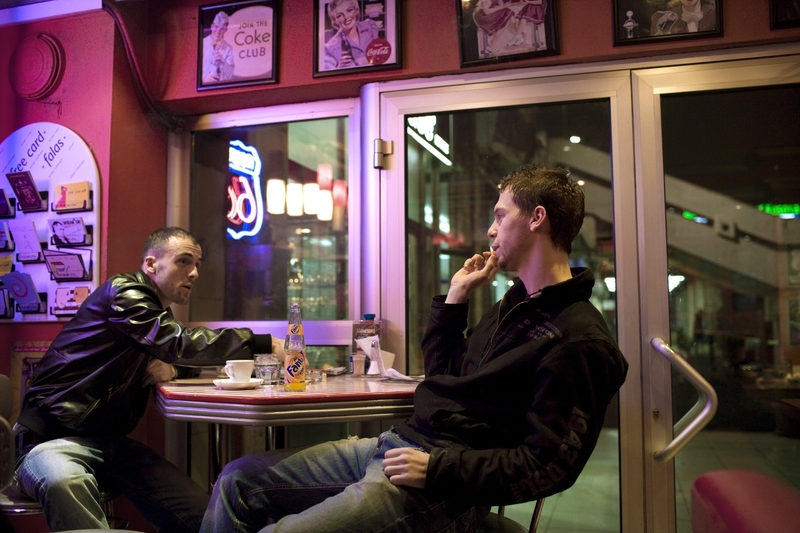 Now they are living out of sixty euro a month subsidized by the government as they are unemployed. According to a report from the Kosovo’s Ministry of Environment, Kosovo A emitted around 2.5 tons of dust per hour, which exceeds the European standard by some seventy-four times and its suspected to be one of the main sources of cancer and lung disease among the population of nearby villages. A makeshift shanty town where poor Ethnic Albanians live. 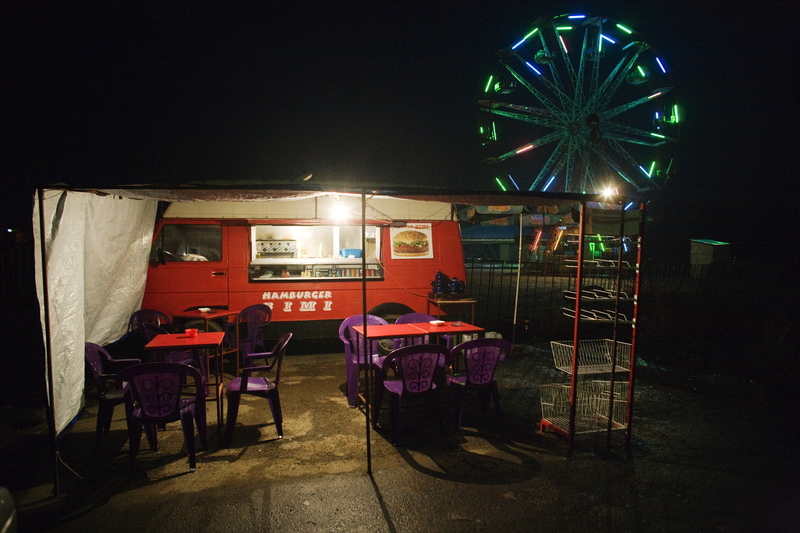 The wheel of an amusement park near an empty kiosk selling hamburgers in a poor neighborhood. Ethnic Albanian Leonoka Brahimi, 12-years-old in the trailer where she lives with her brother and their parents in a trailer park. 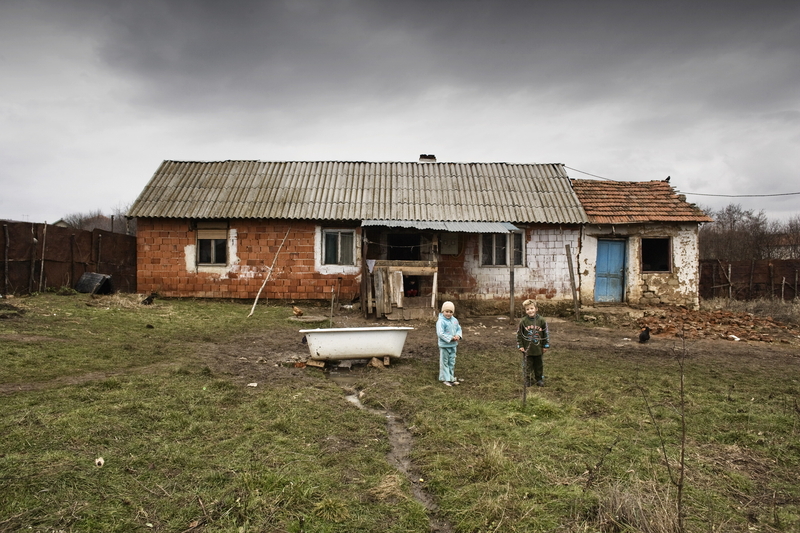 Leonoka and her family moved into the trailer park three years ago as they were squatting a house belonging to a Roma family who came back after the war. Their house in the village of Keqekolla was burned and destroyed during the 1999 Kosovo War and therefore the only opportunity they had because of their financial situation was first to squat in a house and then move into the trailer park. Their father is a member of the newly established Army of Kosovo and her mother occasionally gets work as a dishwasher, they live out of two hundred euro a month. They never see their parents whom are always working and Leonoka has to take care of her brother and the trailer. Twenty-two families live in the trailer park since 1999. 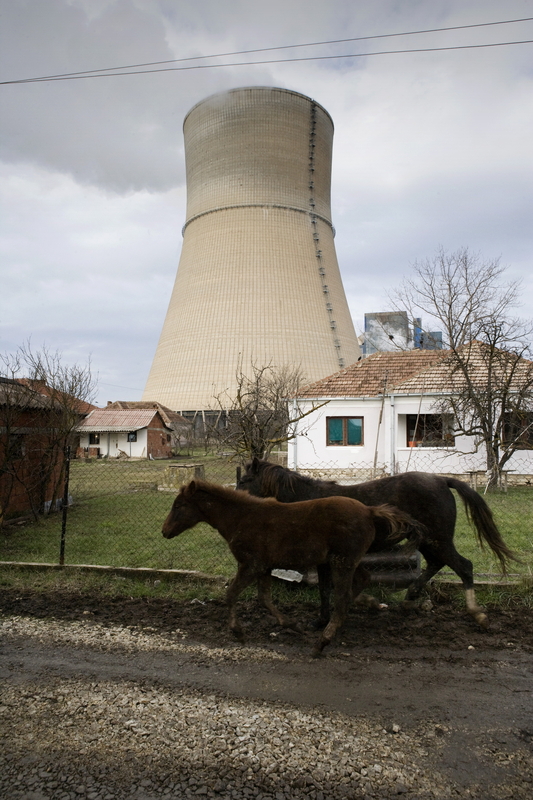 Horses ride in an area considered extremely polluted by the nearby, 70 meter high, concrete chimney of Kosovo A, one of two power stations of the Kosovo Energetic Corporation. According to a report from Kosovo’s Ministry of Environment, Kosovo A emitted around 2.5 tons of dust per hour, which exceeds the European standard by seventy-four times and is suspected to be one of the main sources of cancer and lung disease among the population of nearby villages. 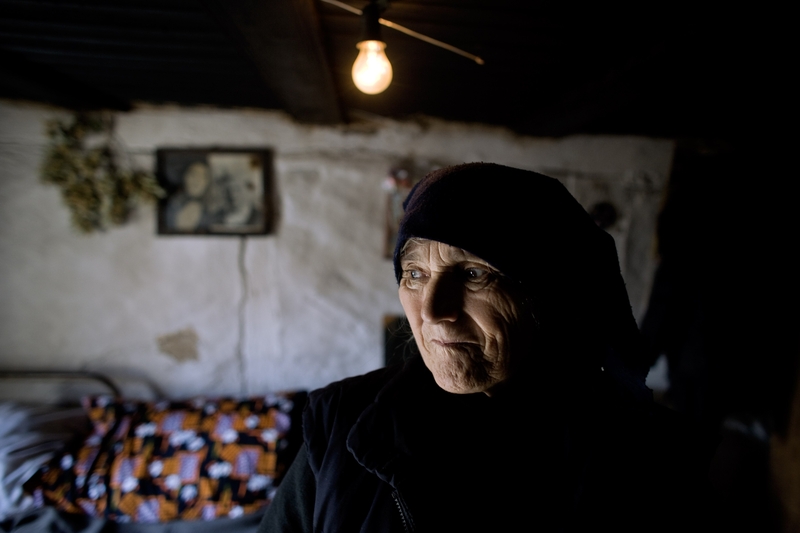 Dobrila Kovacevic, a Serb that lives in a Serbian enclave surrounded by Ethnic Albanian villages in her house in Suvo Grillo. Suvo Grillo one of many Serbian enclaves surrounded by Albanian villages is inhabited by 200 Serbs that live in extremely poor conditions. Kosovo is being governed by the United Nations after tensions between the province’s ethnic Albanian majority and the Serbian government in Belgrade erupted in violence in the late 1990s. 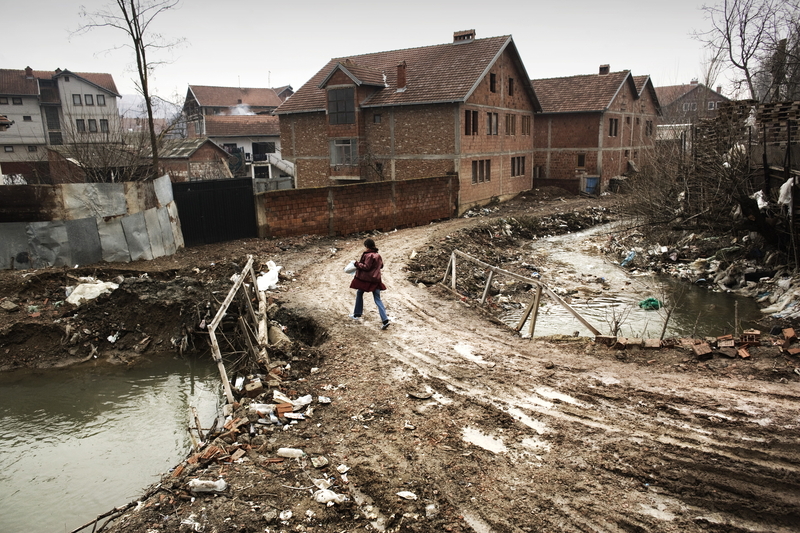 An Ethnic Albanian girl walks on a road leading to a trailer park inhabited by twenty-two families that moved there due to their financial situation after their houses were destroyed and burned during the 1999 Kosovo war . The trailer park has no power, running water or sewer system, and the twenty-two families are mainly living out of money government subsidy. Miriana Stepanov, a Serbian IDP (Internally Displaced People) at her front door. Miriana has lived there since 1999 when she fled southern Mitrovica in what was once a school now used as a shelter by several families of Serbian IDP. The shelter doesn’t have toilets or running water and electricity. A wreath of flowers laid on graves of Kosovo Liberation Army soldiers (KLA) who died during the 1999 Kosovo war. 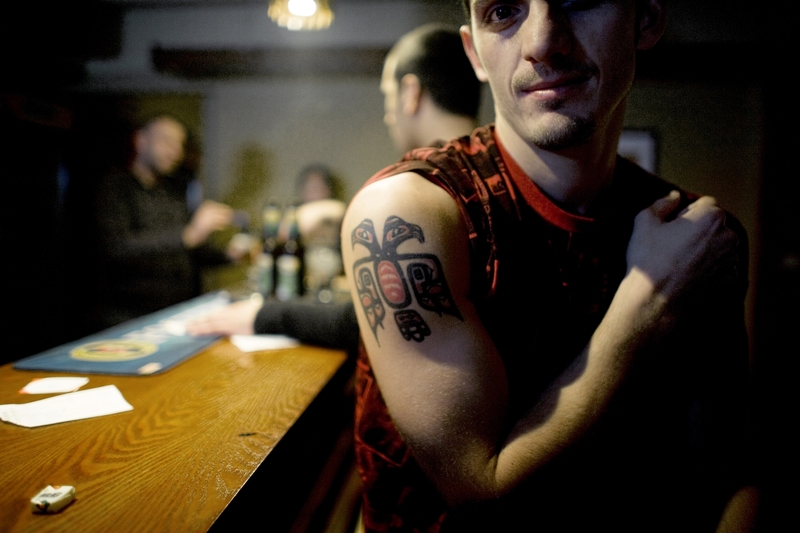 An ethnic Albanian former heroin addict shows his tatoo depicting the Kosovar flag on his arm. 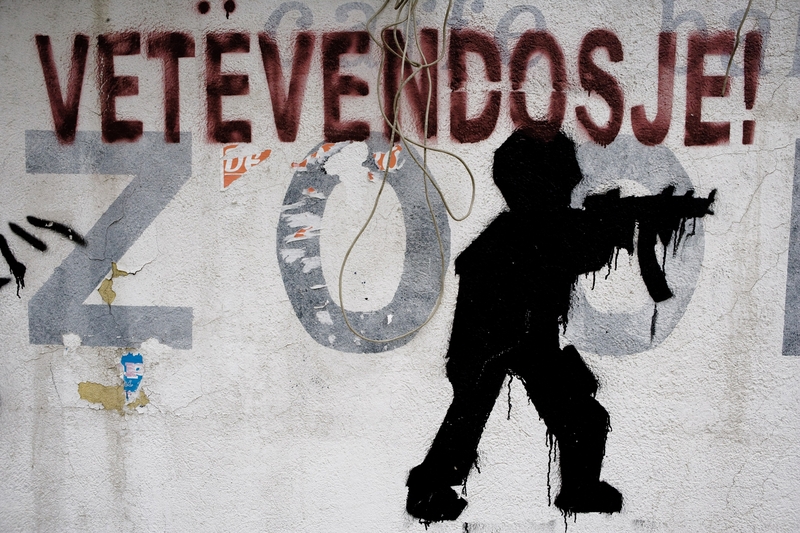 A graffiti mural by the political movement Vetevendosje on a wall in Pristina, Kosovo province, Serbia. Vetevendosje in Albanian means “self determination”, the movement conducted a campaign against the last parliamentary election and their slogan was “no vote” because they thought that elections shouldn’t have taken place until Kosovo obtained it’s independence which should be reached by a popular referendum instead of negotiations with Serbia. From left, Ethnic Albanians, Elisa Pura and her friend Eriola Allushi spend some time in the office of the trendy radio station Urban FM. An ethnic Albanian child wearing a Spider Man mask looks out of the window of his shelter in a former orphanage in the ethnically divided town of Mitrovica. 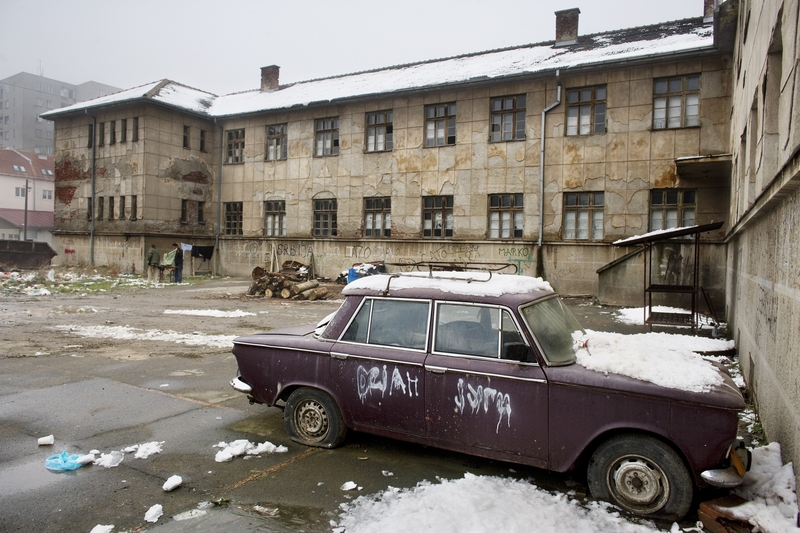 Twenty-nine families of Ethnic Albanians who fled the northern side of Mitrovica after the war live in a former orphanage with no electricity and running water as they all lost their houses after the 1999 Kosovo war. 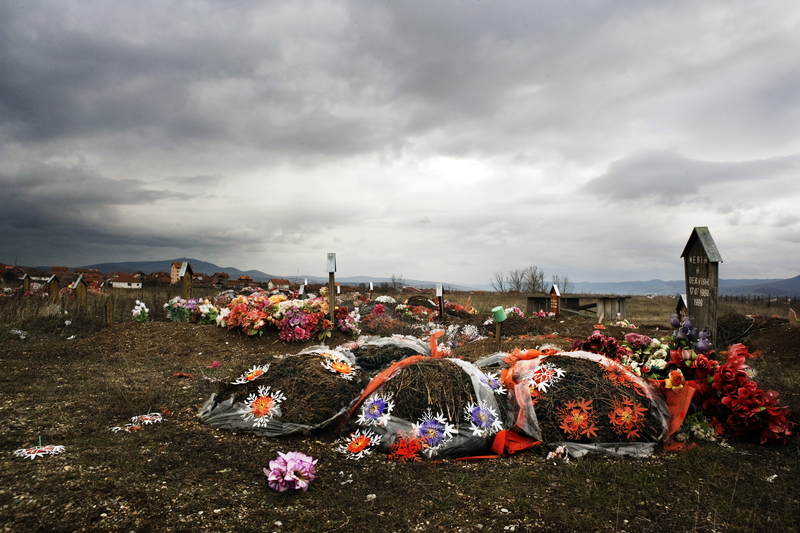 The people of Kosovo have suffered substantially over the past decade from deep economic, social and political turmoil following the 1999 Kosovo war. A general view of the Public Library. 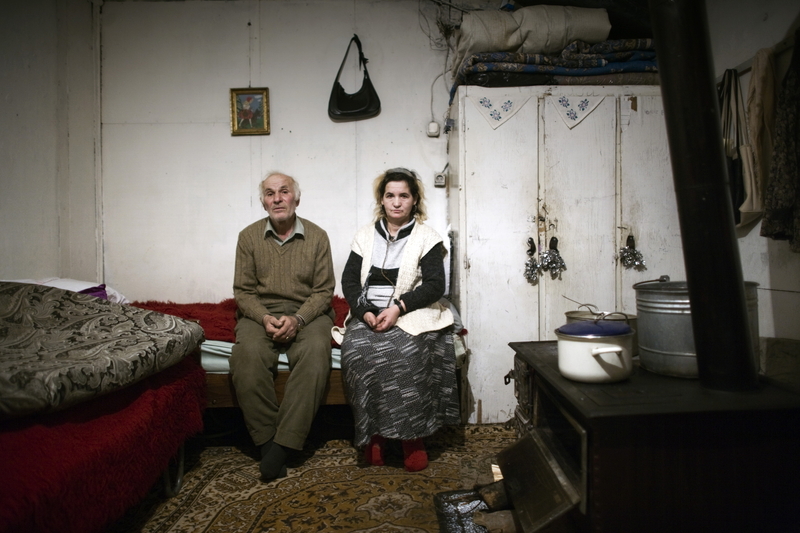 Ethnic Albanian Idriz Metulli, 65-years-old and his wife Elfeti Cakolli, 47-years-old sit in their makeshift shanty house in Pristina. Idriz, was a construction worker and in the 90’s the neglect and exclusion of the Albanian community during Milosevic’s era caused the loss of his job. In addition his wife became ill, both physically and mentally and they lost their apartment and moved to a shantyg town. They don’t receive any government subsidy since they don’t have children. 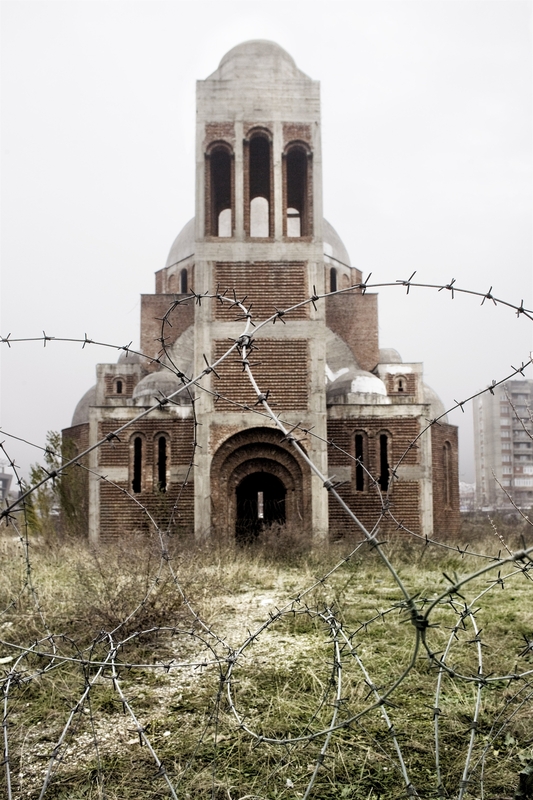 A Serbian Greek Orthodox church abandoned and in ruin protected by barbed wire. 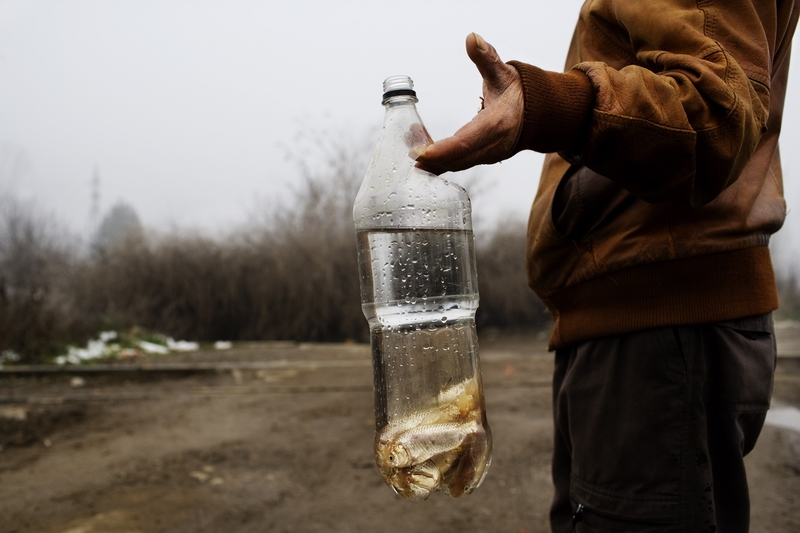 A Roma holds a bottle filled with small fish that he will use as a bate to go fishing in the Ibar river in Mitrovica. Two of the children of Ethnic Albanian descent of Nurije Krasniqi, 43-years-old playing in front of her house in the village of Igllobar, Kosovo Province, Serbia. Nurije’s husband was working in a chicken farm that was turned into a Serbian police compound during the 1999 Kosovo war and since then he has been unemployed. They eat mainly bread and potatoes and once a month can afford chicken legs. The Krasniqi family, lost five of its members during the 1999 Kosovo war, none of their eleven members are employed and they live out of the government subsidy. A general view of the Glocovac Ferro Nickel plant in Glocovac. The plant emitted extreme amounts of carbon monoxide and dust particles which caused severe pollution and energy loss. However, research revealed that the carbon monoxide can be efficiently recycled to heat the plant’s furnaces. This recycling equipment was installed, but has never been used. Twenty-two families, mainly employees of the plant, live in makeshift houses in front of the factory. 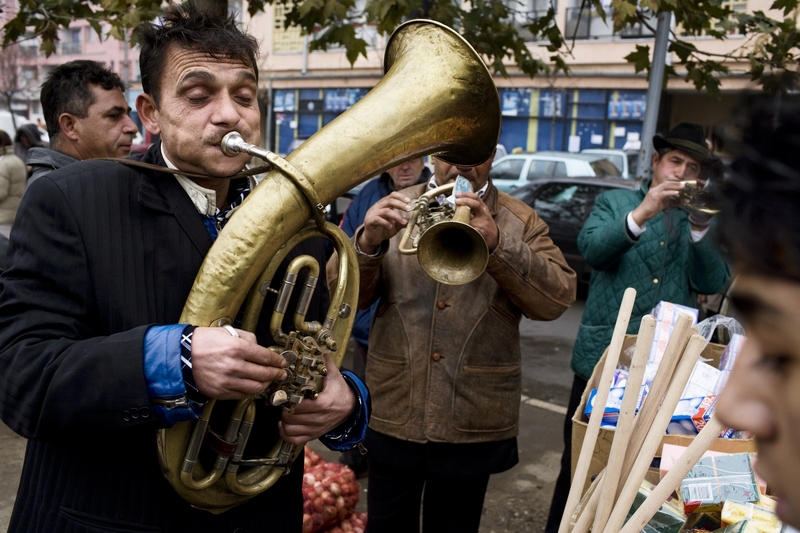 A Roma man plays a horn to scrap together small change to live on in Mitrovica. The courtyard of what was once a school is now used as a shelter by several families of Serbian IDP (Internally Displaced People) whom live with no toilets, running water and electricity in Mitrovica. 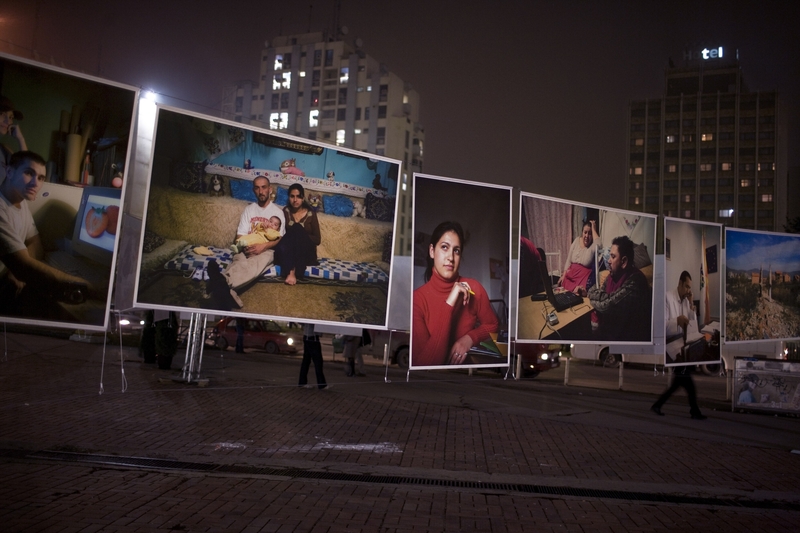 An exhibition of photos showing the living conditions of the Roma population displayed in a main square in downtown Pristina. 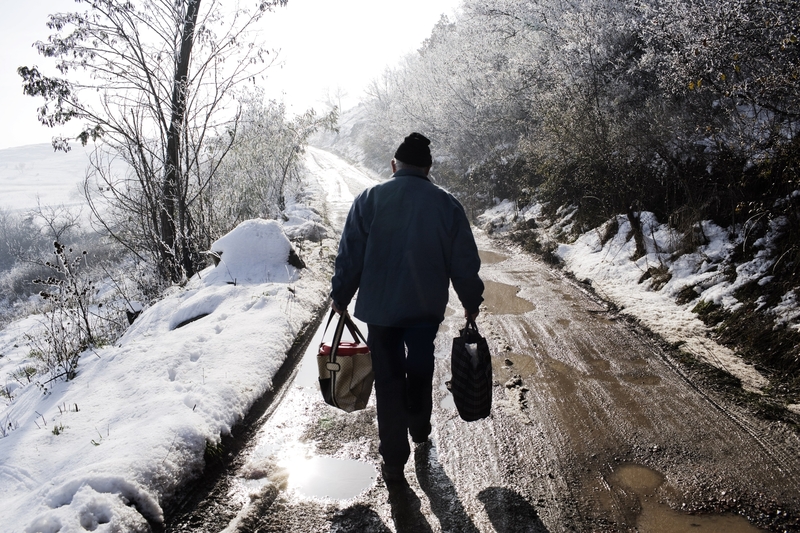 Jovan Radakovic, 77-years-old a Croatian from Srbila walks back home after collecting food from a local charity in Mitrovica. Jovan who has been a refugee twice, first fled Croatia in 1995 after the war to go to Southern Mitrovica and then came to Northern Mitrovica after the Kosovo war to collect food every morning. He then rationed it out to his neighbors who are too old to go to collect it themselves. A Roma baby in a camp where he lives in extremely poor conditions with no running water, electricity or toilets. 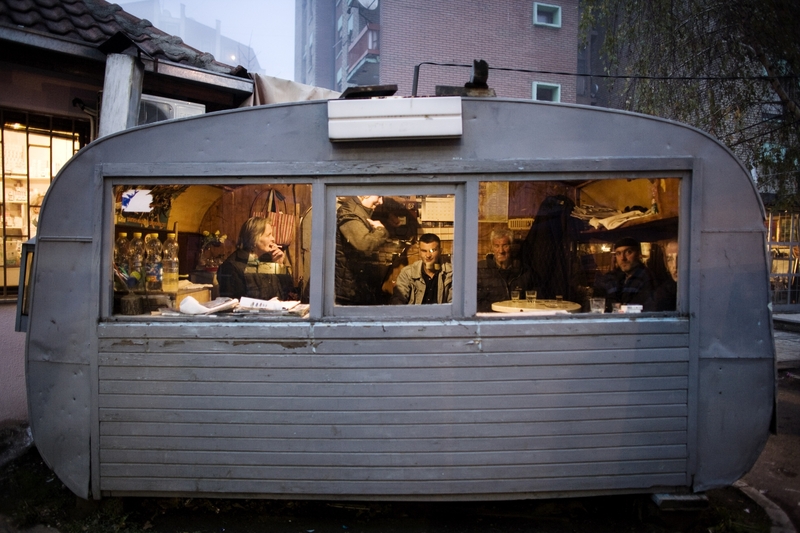 Serbians inside a trailer that they use as a shop to to support themselves. 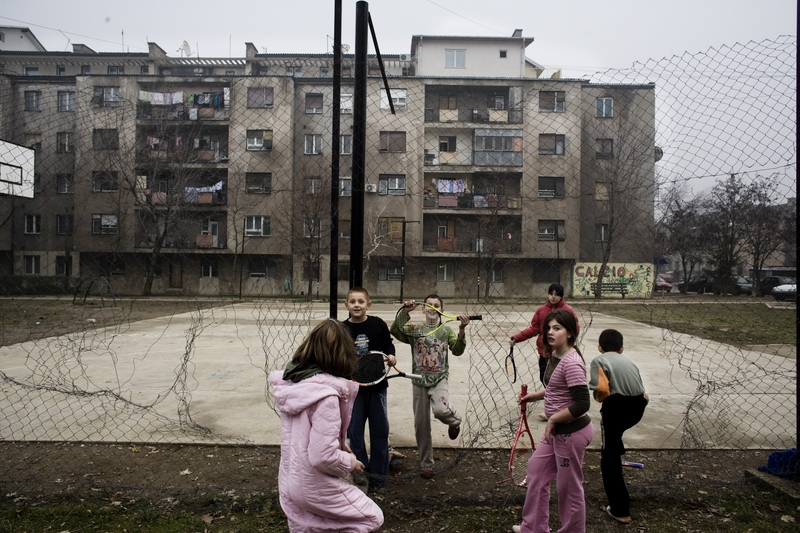 Serbian children play in the playground of the building where they live. 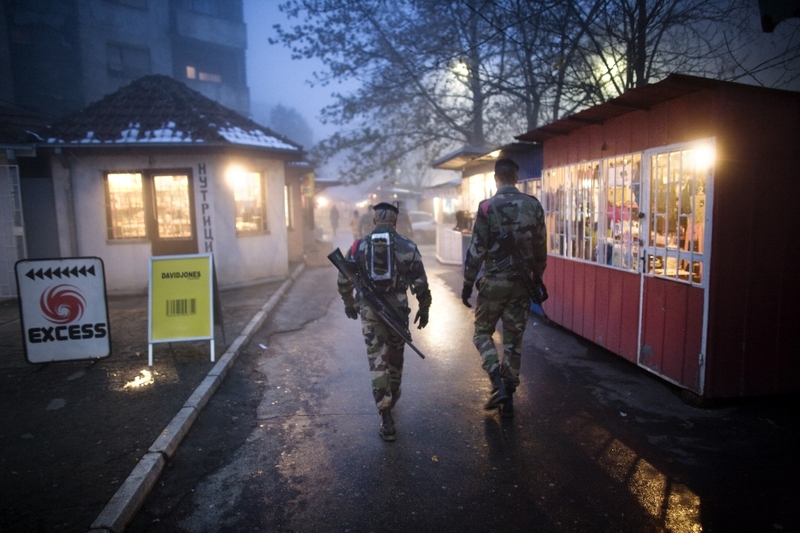 Two French soldiers who make up part of The KFOR contingent, patrol the streets Mitrovica. 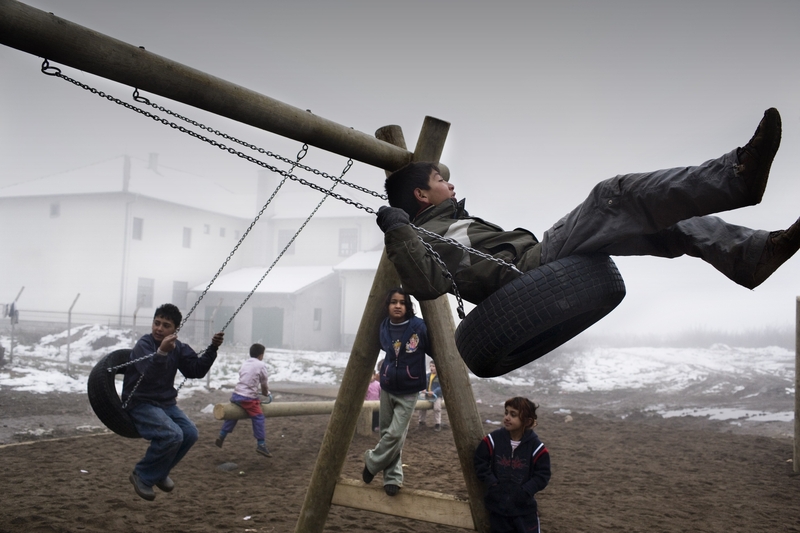 Roma children play in the playground of their building constructed with the funding of the international community to allow them to came back where they were living before the 1999 Kosovo war. 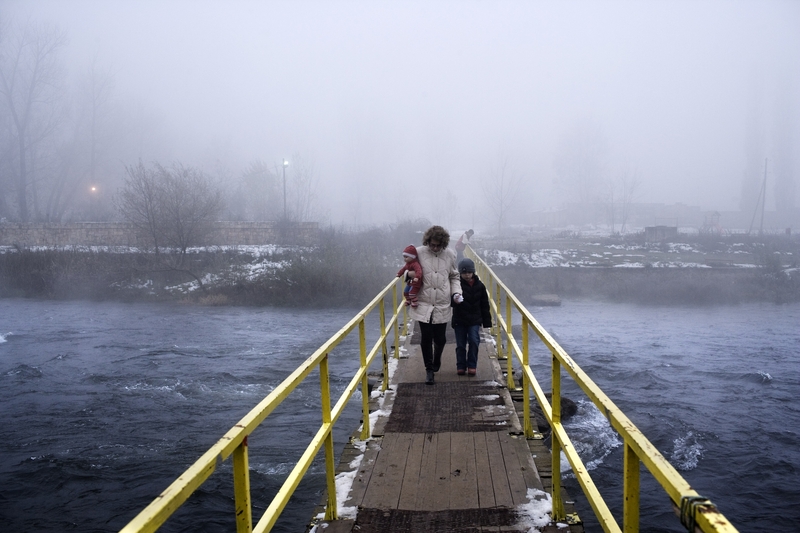 A family cross a pedestrian bridge over the Ibar river that separates the Serb North from the Albanian south in Mitrovica.